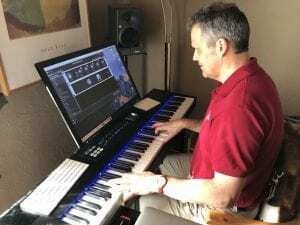 Rosenheim, Germany – July 2018…Keyboardist Thaddäus Weindl has a lot going on. From his home base in Rosenheim, Germany, Weindl roams Bavaria and environs playing in three very different bands. He utilizes lots of different sounds, plays pre-recorded backing tracks, triggers videos, and generally keeps busy during performances. It’s a lot to juggle, and he relies on Gig Performer to help him keep all those balls, or, more accurately, sounds, in the air. A programmer himself, Weindl is unafraid to dive deep with Gig Performer, constructing huge plug-in networks or making use of some its more subtle features, such as its GP Script language. Weindl uses a single gig (the uber level of organization in Gig Performer) containing more than 60 rackspaces, each rackspace consisting of anywhere from a single plugin to an entire complex network. Weindl uses Toon Track Solo inside Gig Performer to send notes to GrandVJ over IAC (Mac OS X’s InterApplication Communication facility). Backing tracks are recorded, exported as MP3 files, and played via Gig Performer’s Audio File Player plug-in, but Weindl leverages more than that plugin’s obvious features. Gig Performer really is the center of Weindl’s musical world. 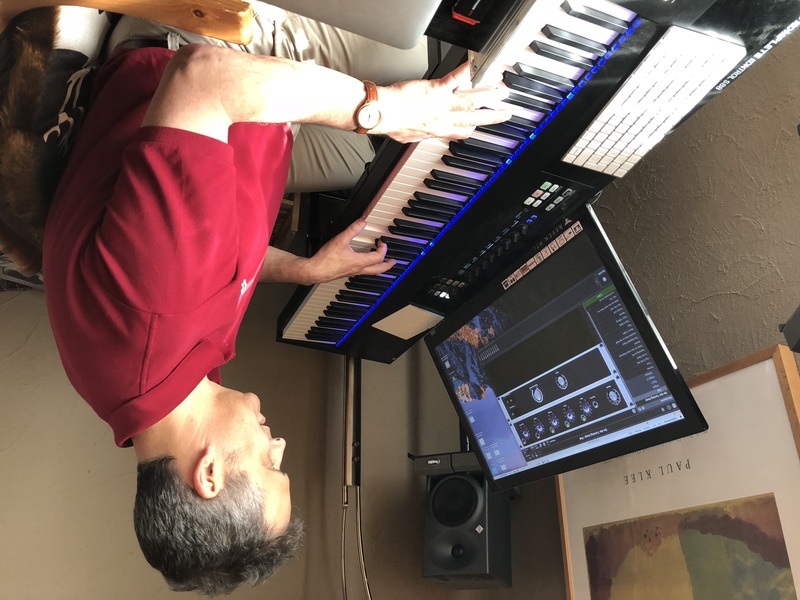 All of his keyboard splits and transpositions are done in the program, as well, so he requires only a keyboard that can send MIDI notes on a single channel to be able to cover multiple parts, play backing tracks, and trigger videos. Putting one program at the center of your setup like that, life can suddenly become difficult if something in the system – such as the keyboard controller – has to change. But this turns out to be another place Weindl wins in Gig Performer by using its Rig Manager.